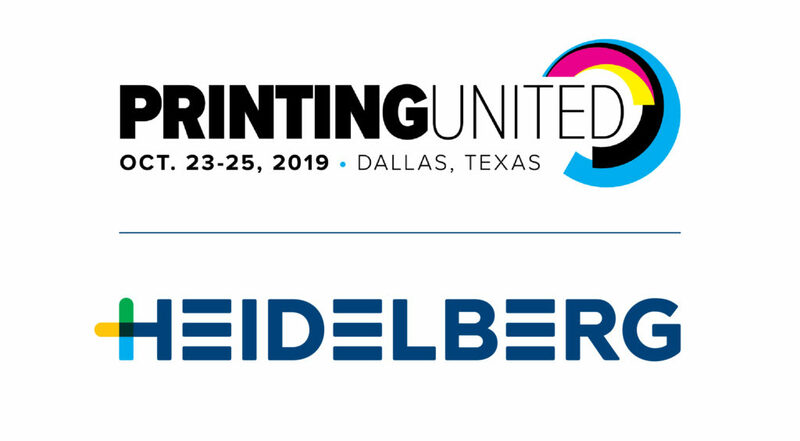 Heidelberg to Exhibit at Inaugural PRINTING United Event in Dallas | Industry Analysts, Inc.
Kennesaw, Ga. March 21, 2019 – Heidelberg will exhibit at the first PRINTING United Expo in Dallas, TX, October 23-25, 2019. Featuring a broader range of printing and finishing technologies and media, PRINTING United will cover multiple industry segments from garment to graphic, packaging to commercial, and industrial – conveying all components of an integrated print solution to satisfy any client need. Heidelberg intends to echo the show’s theme of convergence by highlighting its solutions for the commercial, packaging, and label markets – attracting new customers while also empowering current customers to transcend traditional segmentation and expand into new areas of business. Convergence, the over-arching theme of PRINTING United 2019, fits perfectly into Heidelberg’s current strategy. Their vast portfolio of products and services for every market segment – commercial, label, and packaging – has grown drastically over the years – well beyond the sheetfed “iron” they are historically known for. Joining efforts with companies like MasterWork has grown Heidelberg’s postpress packaging offerings – enabling commercial printers to expand into packaging. And most recently, through their integration with Gallus, Heidelberg can help their current commercial printing customers enter label printing using the same sales and service channels that they are already accustomed to. Heidelberg is also in the unique position of being able to seamlessly connect each part of its product line together using Prinect workflow – giving customers the ability to control and optimize themselves intelligently to help maximize efficiency and output. According to Mueller, “While we are a company with a long tradition, we are also helping to define the future trends in our industry with state-of-the-art technologies and innovative business ideas. We’ll look to our product team to shed light on many of these trends leading up to the Printing United Expo. Above all, we seek to help customers maximize their productivity and profitability. Many still do not know the full breadth of our offerings – like our subscription based equipment and workflow business models. These subscription models are an ideal way for printers to invest in new equipment or software without making a large upfront investment. We think PRINTING United is the perfect place to showcase all of the changes that Heidelberg has been making for the betterment of our customers and the longevity of their businesses,” said Mueller.